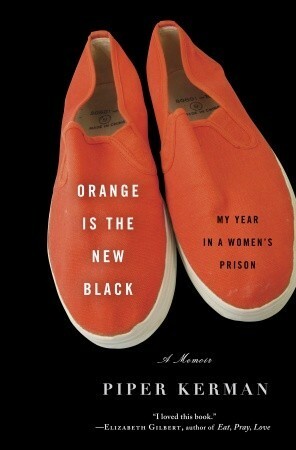 An Evening With Piper Kerman: Orange Shoes and Lemonade? There’s an old overused proverb that we may have grown tired of hearing, but on Monday evening, September 22, at the Clifton Park-Halfmoon Library, I witnessed the personification of making lemonade when life gives you lemons. I also saw what I’m calling the alchemy of writing—that confluence of heart and mind, tears and joy, life embodied in the written word, and how writing can change one’s life. 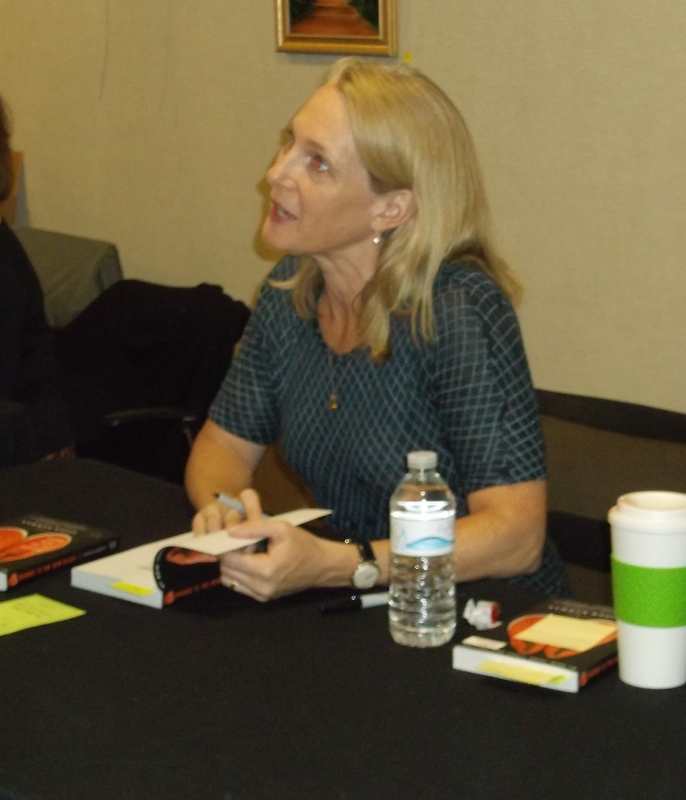 Piper Kerman, author of best selling memoir Orange Is The New Black: My Year in a Women’s Prison presented her story before a maximum capacity audience. By a show of hands, a number of attendees had read her book, and many more had seen the critically acclaimed Netflix series adaptation. On that evening Kerman’s own voice carried us through the journey that led to her felony conviction and a 13- month sentence in a women’s prison. As I listened to Piper’s personal narrative, I noticed two pivotal junctures emerge, first the lemons, and then the lemonade. When Piper Kerman turned herself in at the Federal Correctional Institution in Danbury, Connecticut, she was looking at a 15- month sentence in a plea deal for a non-violent conviction of money laundering that she had committed ten years earlier. Knowing only what she had read about prison life, she arrived there in great fear of the unknown and of the possibility of experiencing violence. She was “processed in” by intimidating guards and transformed from Piper Kerman to a new, dehumanizing identity, inmate number 11187424. Placed in the general population, she was forced to quickly learn and follow the prison rules, as well as the prisoner rules, “go along to get along” in order to survive the duration of her sentence. A Smith College graduate, Piper Kerman writes a moving account of her prison experience, of taking responsibility for her actions and paying the consequences. In the process, she also identifies and vividly articulates the need for reform of our criminal justice system. She explained the reason for writing her memoir: so that those who would not otherwise read a book about life in prison can learn about the people who become incarcerated. Who are they? What led them there? What are the intentionally well-hidden realities of life in prison? Piper’s memoir and the Netflix series teach us that many prisoners today are women, and many are mothers of minor children. She described a startling statistic. There has been an 800 % increase in women’s incarceration in the last 30 years, nearly twice the rate of increase in male prisoners. Close to 85% of the women incarcerated in New York State are there for non-violent crimes, with wide disparity in sentence lengths along socioeconomic and racial lines. Piper discussed several themes about life in a women’s prison including: the inequities of race and class; motherhood and pregnancy behind bars; gender power and predominance of male guards; and friendship and empathy among the prisoners. She spoke with tenderness in describing the impact of her fellow prisoners’ friendship and empathy. Among their kindnesses was the phenomenon of their “welcome wagon” extended to new prisoners by offering essentials such as toothpaste or soap; items that are not provided and must be earned by inmates. They gave advice and comforting words that each day would be a little bit better. One woman who loved to draw made each new prisoner a special name tag to post as required on inmates’ bunks. Kerman displayed a slide photo of the name tag made especially for her, and explained how those kindnesses touched her. 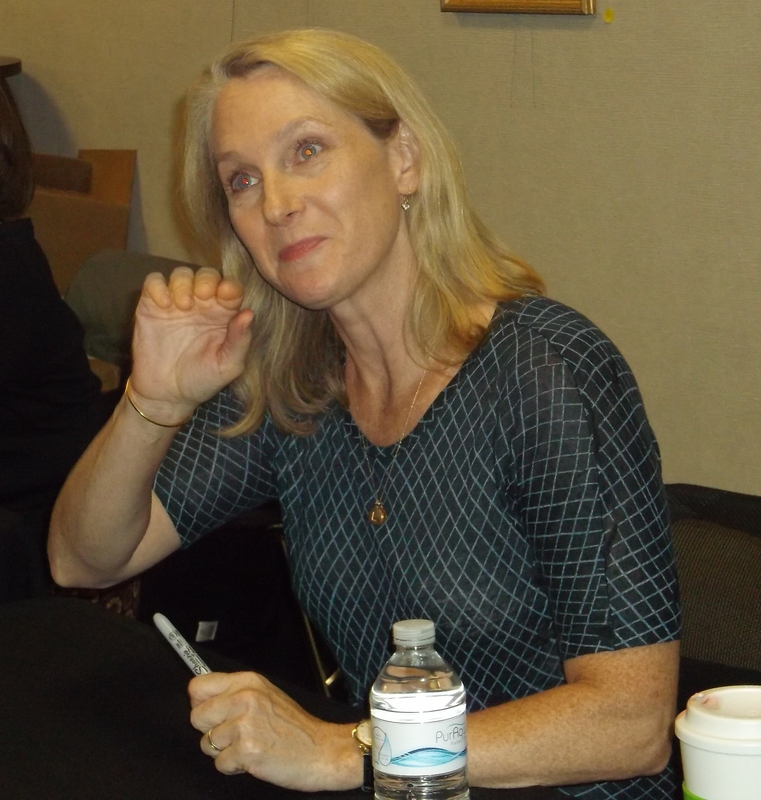 It seems to me that Piper Kerman’s lemonade is more than the closure of that painful chapter of her life, more than the success of her best selling book and the Netflix series, and more than the celebrity it has brought her. She transcends an unfortunate life-changing experience through writing. 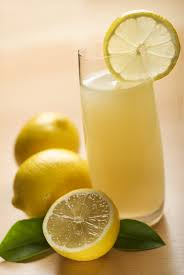 I suggest that her real lemonade is her public platform for criminal justice reform and her potential to effect changes in the lives of prisoners during and after incarceration, enacting “common sense sentencing,” and reducing recidivism. Categories: Uncategorized | Tags: author, justice reform, memoir, Orange is the New Black, Piper Kerman, prison reform, women in prison, Women's Prison Association | Permalink. Very happy to have met you Susanne both in line and while seated. You did a splendid job of capturing the true essence of Kerman’s message. Yet, nothing will replace seeing this witty, gracious, and tender woman in person. Her book grabbed me, and her in-person voice clutched deeper true and true as she forced us to consider the humanity both on the “inside” and out. Props to you on capturing the real message. I took copious notes too and you nailed this. Again, it was wonderful to meet you. We both arrived early and it was a ideal occasion to meet a fellow writer.